Effective from 27 July 2017, the Central Bank has restored the system of direct placements in the issue of Treasury bonds to its due place. This system, started in 1997 by the then Governor A.S. Jayawardena, was abruptly abolished in February 2015 by the then Governor Arjuna Mahendran a few minutes before the close of the controversial bond issue of 27 February 2015. As the evidence before the presently sitting Presidential Commission to Investigate and Inquire into the Issuance of Treasury Bonds has revealed, it had been a decision taken by him on his own against the better advice by his staff. The abolition of the direct placement system was justified by the then Governor Arjuna Mahendran and the Monetary Board which sided with him on this issue on the ground that it would pave way for the development of a competitive bond market in the country. Even Prime Minister Ranil Wickremesinghe who made a statement in Parliament on the bond issue subscribed to this view (available at: https://www.youtube.com/watch?v=RZ6du4uowGs). Even in theory, this presents only half the truth because bonds are issued not in a competitive market but in an awkward market. The issuer of bonds, the Government, is a monopolist and the buyers of bonds are an oligopoly. Hence, a non-competitive market by nature could come only close to the features of a competitive market. Accordingly, by abolishing direct placements and allowing only auctions, Governor Mahendran, supported by the then Monetary Board, had allowed a few primary dealers to get together and corner the market at a tremendous cost to other primary dealers and the Government. It may be puzzling to many what is meant by auctions and what is meant by direct placement of Treasury bonds. To understand this, one should familiarise oneself with the mechanism in place for the issue of Treasury bonds in Sri Lanka. The legal framework for issuing Treasury bonds by the Government to raise funds is provided by the Registered Stocks and Securities Ordinance first enacted in 1937 but amended from time to time since then (available at: http://www.cbsl.gov.lk/pics_n_docs/09_lr/_docs/acts/reg_s&s_ordinance.pdf). On behalf of the Government, the implementation of the provisions of this Ordinance is being done by the Central Bank as the Government’s agent. Hence, the Central Bank has to act in accordance of the wishes of the Government, the principal in the bond issues. When the Treasury bonds were introduced to the market in 1997, the Central Bank also established a system of dedicated primary dealers or simply PDs, whose job was to invest in Treasury bonds and Treasury bills as and when they are issued by the Central Bank on behalf of other investors as well as on their own behalf. This initial issue market of bonds and bills is called the primary market where the Central Bank issues them to their first investors. PDs were expected to invest in those Treasury bonds and Treasury bills on their own behalf as well because they were supposed to keep a stock of bonds and bills, known as a portfolio, in order to create a vibrant secondary market – the market where bonds and bills are traded among subsequent investors after they have been issued in the primary market by the Central Bank – for them. Since they are designated as dealers, they were supposed by buy and sell bonds and bills freely in this secondary market. The Employees Provident Fund or EPF which is not a primary dealer has also been allowed by the Central Bank to bid at primary auctions as a special participant. A Treasury bond is just a certificate issued by the Central Bank in acknowledgement of a borrowing done for the Government from somebody in the market. It is, therefore, similar to a fixed deposit certificate which a depositor gets from a bank. The minimum amount that can be invested in a Treasury bond is Rs. 10,000. It has a maturity date and carries a fixed interest rate, known as the coupon rate, at which the Central Bank pays interest twice a year to the holder of the bond. The interest rate is called the coupon rate because in good old days when they were issued in physical form, there were interest coupons attached to a bond. For instance, if the value of a bond is Rs. 10,000 and annual fixed interest rate is 10% per annum and the maturity period is five years, there are 10 interest coupons of Rs. 500 each attached to the bond in question. On each interest payment date, the investor was supposed to detach a coupon, sign it and forward to the Central Bank through his banker for payment of interest. The Central Bank, after verifying the accuracy and genuineness of the coupon would pay the relevant investor through his banker. On maturity also, the relevant bond holder would submit the bond certificate to the Central Bank through his banker for repayment of the principal involved. This involved massive paperwork, laborious checking of accuracy and genuineness and time consuming authorisation of payment through the banking system. Hence, in order to simplify the issue of Treasury bonds, the Central Bank went for a certificateless Treasury bond system, known as scripless system (note: a scrip is another word for a certificate) in 2004 when it modernised its operations under the Central Bank modernisation project implemented through 2000 and 2005. At present, there are no physical Treasury bonds or physical interest coupons. But going by the tradition, the fixed interest rate is still known as the coupon rate. The mechanism of recording transactions in the scripless system is similar to the operation of a current account department of a commercial bank. 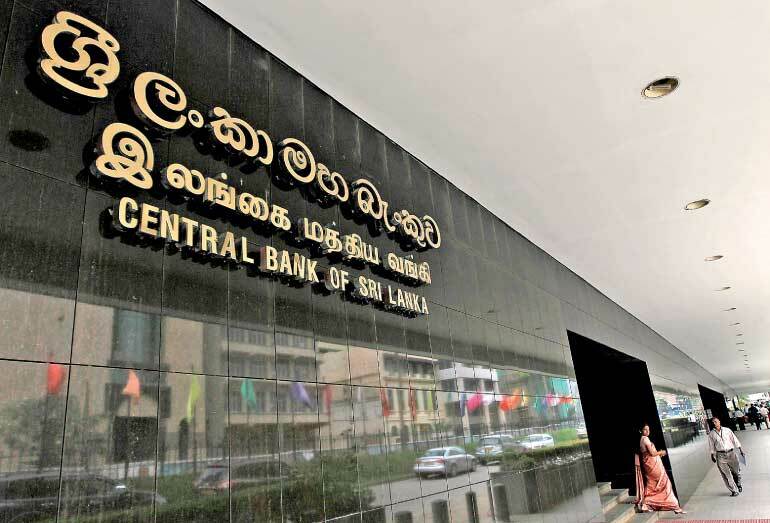 There is a Central Depository System, abbreviated as CDS and similar to the CDS in the Colombo Stock Exchange, that keeps accounts of individual investors in Treasury bonds. CDS maintains a general account of Treasury bonds and bills on behalf of each PD and under each PD, an account for each individual investor. For instance, if X buys a bond through PD-A, X’s account is kept in CDS in the account of PD-A. When X sells his bond to Y, PD-A notifies the CDS of the sale and CDS debits X’s account and credits Y’s account in CDS. Similar to a bank statement relating to a current account, CDS also issues periodical statements to individual investors informing them of the status of the account with CDS. Now back to the auction system and direct placement system. When the Treasury bonds or bills are issued, the Central Bank’s Public Debt Department issues a press notice calling for bids from dedicated primary dealers and EPF for the issue of bonds and bills. Under the scripless system, the auctions are done through electronic means where PDs and EPF would submit bids by using dedicated telephone lines to the Public Debt Department. The auction which starts at 8:30 a.m. on the due date is closed at 11 a.m. by the system itself. No late bids are accepted unless there is proof for interruptions to telephone lines as certified by the Sri Lanka Telecom. Once a bid is submitted, whether it is in error or in accuracy, and if it is accepted by the Public Debt Department, PD concerned or EPF is liable to make payments for same. The Public Debt Department prepares a bid table and analyses the same in the light of the fund requirements of the Government and the interest rates quoted by PDs and EPF. If the interest rates are high, the practice in good old days had been to consult the borrower, namely, the General Treasury, and get its consent for the rate before it is being submitted to the Treasury bond/bill Tender Board which meets around noon time of each auction day. The Tender Board may accept all the bids or some of them as per the agreement with the General Treasury done prior to the meeting of the Board. The question of direct placement arises if the interest rates quoted by PDs or EPF are a way above the prevailing market rates and not acceptable to the borrower, the General Treasury. For instance, suppose the rate agreed with the General Treasury is 10% but PDs have quoted rates significantly above that rate. Since the General Treasury is not willing to borrow at those high rates, the Tender Board will accept bids up to 10% and reject all other bids above that rate. To meet the funding requirement of the General Treasury, the Public Debt Department will sell bonds directly to PDs and EPF, known as direct placements, at the weighted average rate of the bids accepted at that particular auction. But if all the bids are rejected because the rates quoted by PDs are significantly higher than the rate at which the General Treasury is willing to borrow, there is no a weighted average interest rate relevant to that auction. In that case, bonds are directly placed with PDs and EPF at the weighted average rate of bonds issued in the previous auction marginally adjusted for market developments since then. Since 1997, the Central Bank had been using a hybrid system of auctions plus direct placements when it issued Treasury bonds to the market. This hybrid system was introduced by Governor A.S. Jayawardena in 1997 and there was a good reason for him to do so as explained by this writer in a previous article in this series (available at: http://www.ft.lk/article/553934/Direct-sale-of-government-securities--Demon-or-servant). The article under reference was written in response to an accusation levelled by the then Central Bank management that the direct sale system was introduced by this writer in 2008 when he was the Deputy Governor of the Central Bank. The system of direct placement was introduced not by this writer but in 1997 when the primary dealer system was introduced to the country during the tenure of A.S Jayawardena as Governor. At that time, this writer was simply the Superintendent of Employees Provident Fund and not the Deputy Governor. However, as the largest investor in Government securities on behalf of the Monetary Board, this writer recalls attending a meeting chaired by Governor Jayawardena to map out the strategy for the smooth functioning of the primary dealer system. The others who were present at the meeting were S. Easparathasan, Deputy Governor, G.M.P de Silva, Executive Director and T.S.N Fernando, Superintendent of Public Debt. It was noted at this meeting that there was the possibility of some primary dealers acting in collusion and seeking to jack up interest rates. It has to be prevented because the duty of the Central Bank is to raise money for the Government at the cheapest cost while avoiding sudden increases in interest rates. Hence, it was decided that the Central Bank should use its discretionary power as the borrower of funds to decide on the optimal amount it could raise through auctions without causing an unwarranted increase in interest rates and getting the market participants to invest in the remaining quantum of bonds at the weighted average interest rate available at the particular auction or if all bids at that auction had been rejected, at the weighted average rate of the previous bond auction marginally adjusted for later developments. This system would not give an undue advantage to any primary dealer since they were required to invest around the prevailing market yield curve. When it was pointed out to Governor Jayawardena that it would be against the market, his reaction was sharp and clear. It is this direct sale system which was abolished by Governor Arjuna Mahendran branding it as a demon. Even the Prime Minister Ranil Wickremesinghe had been misled by the Central Bank that it was a demon whereas it was a system to regulate the misbehaviour of PDs and raise funds for the Government at the cheapest costs. Its absence had denied a powerful weapon to the Central Bank to regulate the misbehaviour of PDs. It had also cost the Government dearly from February 2015 to July 2017. Hence, the reintroduction of the direct placement system under a new format by the Central Bank is a welcome sign.